Its been a long time since I've done a post about the things I'm loving at the moment. In fact, its been so long, I cannot even find the last one to link up to. I searched till Summer of 2010 and gave up. Post about things other bloggers are loving are actually some of my favorite to read. I love hearing about new products and what others are loving too. So if you have a blog and don't do those post, please start for me. Y'all this stuff is like heaven in a bottle. Sometimes I make coffee just for this creamer. Unfortunately, its only available for a limited time, so you better run to get some. This is my plea to Nestle to keep this stuff out all year!!!! So, we're officially converts. 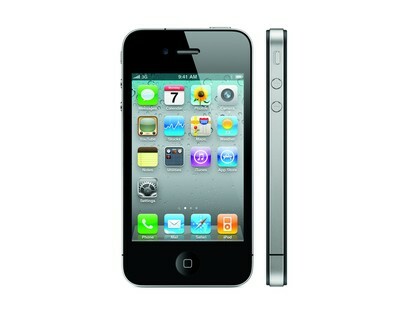 I've seriously been debating for months now whether or not to go with the iphone. There was apart of me that wanted to be a rebel and say I'm not a apple devotee....but, we crossed over that line with one foot last summer when David randomly bought an Ipad. I swore I would never like it, but I did. I loved it. So, back in November when our stupid blackberry's bit the dust, we went in still undecided, but walked out with two new iphones. I love this phone like no other. I tried to explain to my dad that I don't know what it is about it, but I feel like my life is complete with it. I do not see myself ever going back now. I'm officially an apple devotee. Olivia and I having been dancing to this song all season. We may or may not listen to it five or six times in a roll. If this song doesn't get you up and dancing....I have nothing to say to you! If you asked me what my favorite store is, I'd honestly answer Amazon. I've been a Amazon devotee for years now. Its become my first place to look for anything. There use to be a saying that if walmart didn't have it, you didn't need it. Well, I feel that way about Amazon. I got a chance to sign up for Amazon Prime a few months ago and I now love Amazon even more now. With Amazon Prime, you get free 2 day shipping on most things they sell. To me its pretty much that instant gratification that you get when going to the store to buy something. Only this way, you don't even pay for the gas. When fall came around, for some reason, I found myself wanting a pair of cheetah print flats. It was odd because I've never been a cheetah print kinda girl. Why? My freshman year roommate was a huge cheetah print fan and her entire side of the room was decked out in cheetah print. I didn't like her much, so for a long time (about 11 years) cheetah print brought back some bad memories. I'm not typically a very daring person when it comes to fashion. To be honest these are probably the loudest things I own clothes wise. They are strange in the fact they seem to go with everything, or at least, I wear them with everything. I scored mine at a local shop for $13, but I've seen them all over again this year. So that's what I'm loving at the moment! What about you? oh my..i hear ya with the amazon..lol..i get fancy nancy books on there for $6!!!! and that is totally t-a's fav new song..haha! I like the vanilla creamer. It is all chemicals, but it tastes so good! I have been looking for a pair of zebra print shoes and, like you ,don't really fancy myself an animal print girl! I LOVE Amazon prime. I signed up for the free Amazon mom and it gave me 3 months of free prime membership and I bought enough qualifying items at Christmas to extend it uuntil July! It is the best! I love those shoes! Ah! Also, Amazon Prime is THE BEST THING EVER.